Sharing happenings and stories across your organization in News allows you to connect your people. News makes it easy to publish stories with images and videos that celebrate your organization’s culture, values and accomplishments. News provides a number of different ways to publish content, including Articles, Web Articles, Polls, Albums, Job Postings, or Custom Articles (this one you can name whatever you wish). To create any of these News items, you need to be a News Reporter or Editor, whereupon you will see "Add New" in the Action Bar. (NOTE—Depending on your organization, there may be multiple Reporter Groups set up, each with customized publishing permissions. If you do not have the publishing permissions you expected, please contact your Jostle System Administrator). Go to the Action Bar at the top of the screen and click "Add New"
Scroll back up to the Action Bar and click either "Preview", "Archive", "Save Draft" or "Publish"
There are two components to News Articles: Content and Options. To create a News Article, go to News > Add New > Article. Then, on the New Article page, add your content to the following fields on the left side of the screen. Title: The title for your Article. It can be up to 100 characters in length. This is a required field. Body: This is the main part of your Article. Here you can format text and add photos or embed videos or links. It can be up to 60,000 characters in length, including any hidden characters (these are embedded 'control' characters that set format, etc.). Hover over the toolbar at the top of the Body section to learn what the various tools do. If you are copy-pasting your content from a Word or similar document use "Paste and match style" in your browser (Mac: command-shift-v, Windows: ctrl-shift-v) to remove the Word format, which can sometimes interfere with formatting. Compose your article, including images, etc. in Word. Paste the output of this tool into the Body field of your Article. Header images: Click on Browse for images to upload images. You can upload up to 5 images in PNG, JPG, GIF, or BMP format. The total upload size must be 500MB or less. After you have uploaded the photos you can add captions, crop them, and select one to be the Tile Image. For more information about using images, see Appendix A, below. Attach files: You can attach documents such as PDF, Word (.doc), etc. Click on Browse for files to attach your files. Publishing Role: If you are an Editor and/or belong to more than one Reporter Group (see Introduction above), you will be prompted to select your Publishing Role before you can begin creating your Article. If you only belong to one Reporter Group, it will be automatically selected for you. Highlight: Use one (or both) of these options to help draw attention to specific News items. Feature in banner displays articles for a set duration in a carousel that stretches across the top of your News view. Pin until read affixes an article to the top row of News Summary Tiles until it has been read. See here for some ways to best utilize these features. Commenting: Uncheck the box next to "Allow commenting" if you want to block commenting on this Article. Publish date/Auto-archive: Select Set date and time for these features if you want to auto-publish and/or auto-archive(remove) your Article at specific future dates. Visible to: Use this feature to target your Article at a particular audience using the List Selector. See the section below for more details on this. Sign off: Use this feature to require each reader to sign off that they have read and understood this News Article. More details on this below. Notification (Must-see): Use this feature to push a Notification to everyone it is targeted on. This is a Notification that they cannot turn off, so please use this sparingly. More details below. Notification (Comments): Uncheck this if you do not want to be Notified each time someone comments on this Article. More details below. Once you have finished with your Article are ready to publish it, scroll back up to the Action Bar and select Publish. Other options available for your draft at this time are: Preview (see what your Article will look like when it's published), Archive (store an Article and make it unpublished) or Save Draft (save a draft of your unfinished Article to be completed later). Web Articles make it easy to quickly share industry news, blog posts, and the like. They are fast to use -- simply paste in the URL and you can immediately publish a News Article. 1. Copy the URL from the site your want to republish. Please respect any relevant copyright restrictions. 2. In NEWS click on Add New and select Web Article. 3. Paste in your URL and click OK. If the site you have chosen is technically configured to make it possible, Jostle will extract the images and text from that site into a draft News Article. An attribution will be added to the end. 4. You can now edit this text or add an introduction and then set the rest of your News Article permissions and preferences. 5. When ready, click Publish. NOTE—if the imported text is over 60,000 characters, you will need to shorten it accordingly before you can click Publish. The technology we use to extract content out of webpages may ignore parts of an article that have a repetitive structure. This refers to the type of code being used in the article and mainly affects images and videos, but can also affect the content around them. For example, if a website uses a repetitive code structure to insert images into their articles, the technology we use to extract the article may only recognize one instance of that code structure and ignore the rest (meaning it will only pull in one image not any others). This could apply to any similar type of inserted or nested content, like videos or numbered lists. Go to the original article and copy or download the content that was not imported. Open your Web Article and click the Edit link next to the title. Manually add in the missing content to your Web Article and then click Save Draft/Publish. This feature is designed to work for all web pages, but is sometimes restricted by the website that hosts the article. Some websites impose technical restrictions against people from pulling their content, or are otherwise not configured in a way that allows us to extract their content. The Customer Resource Blog (CRB) is the place for News Reporters and Editors to quickly find content tailor-made for the Web Article feature. The blog is updated by Jostle with themed articles (Views & Features, Best Practices and Workplace Topics) on a regular basis, so there will always be something new available to help keep your News view active. Just visit the CRB, copy the URL of any article you like, and then follow the steps above to easily post fresh, relevant content to your readers. On the New Web Article form, right below the title of the article, check off the box next to "Allow viewers to share the original article to their social media". This will enable sharing of the article on Facebook, Twitter, and Linkedin. In News, click on Add New and select Album. Add a Title and short Description. Both are required. Upload the photos for your Album. You can add up to 500, but it's best to upload them in smaller groups. Added together, your photos per Album must consume less than 500 MB of storage. Set any other features, such as targeting an audience or setting a publish time, exactly as described above for Articles. Polls allow users to cast a vote on a question published by a News Editor or Reporter. All Contributors who the Poll is published to can vote, however only your organization’s News Editors/Reporters can create and publish Polls. Inside the News view, go to Add New and then click on Poll. Select the type of poll you want to publish (Options: Text poll or Image poll). Enter your question, as well as up to seven answers for users to vote on. Select your voting close date. Finally, you have the option to Save as Draft (if you intend to publish at a later date) or Publish, which will display immediately in your organization’s News view. And this is what the Poll will look like after you click on the tile and enter view mode. This shows the Poll after the person has voted. You can enable multiple answers to your poll by selecting the checkbox to Allow multiple answers. You can start polls where who-voted-for-what is identified by selecting the option "Identified results can be downloaded by people with edit rights (cannot be changed after published)". Those with edit rights to the Poll can download the current status of the votes as a .csv file by viewing the Poll and clicking on the Download results link bottom right. Job Postings is a default Custom Article (see below) that can be used to advertise positions open within your organization. They share the same format and structure as News Articles (see above). Like all Custom Articles, it can be renamed or removed by a News Editor. In addition to the default types of News items you can publish (News Articles, Web Articles, Polls, and Albums) News Editors are also able to create Custom Articles. Custom Articles allow you to use the format of News Articles to create additional types of News item for content your organization may publish on a consistent basis, like a "CEO Blog" or "Employee Profile". Once created, Custom Articles will appear as options on the News Add New menu as well as in the News Filter Drawer settings along with the default News items. As with any published News item, your Custom Article type will appear in the upper left corner of its tile on the News feed. Custom Articles can be set by News Editors by clicking the Gear icon in the upper right corner of News and selecting "Manage News Items" from the drop-down menu. On the Manage News Items screen, click the "+" to create a new Custom Article. You can also use the control icons on the far right to remove a current Custom Article or drag it to a new position on the "Add New" list in News. If a System Admin disables the Custom Article feature, then all previously published Custom Articles will be removed from the News feed. Up to 10 types of Custom Articles can be created and used at a time. If a certain Custom Article type is deleted, any related published articles will be rebranded with "Article". "Job Posting" is automatically included as a default Custom Article, but it can be renamed or removed by a News Editor. 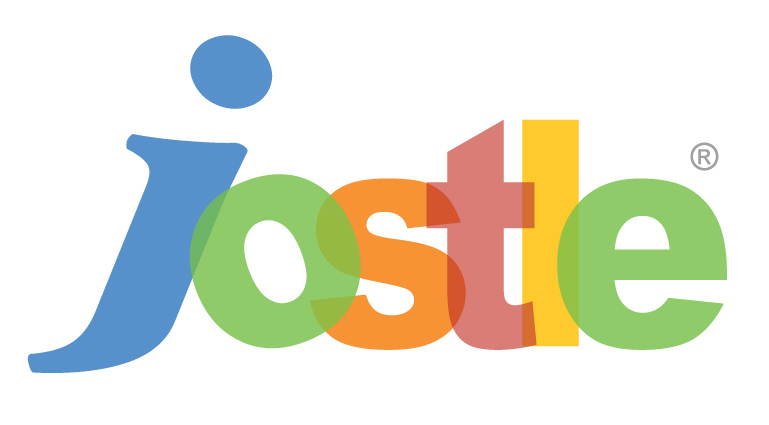 Jostle's List Selector allows you to publish News items to any specific audience you wish. For example, maybe you have a detailed article on the renovation plans for a building that is only relevant to those located in that building. Targeting your content helps keep your intranet relevant and engaging for everyone. When you are using creating any News item, you will see the Visible To option. The default setting is "Everyone" but if you click on the setting, it will bring up the List Selector and allow you to create a Custom List to target your content to, if you wish. Learn more about the List Selector here. News Articles, Web Articles, and Custom Articles all include the Sign off feature. Use this when you need to ensure that a particular item has been read and understood by everyone in your audience. I confirmed I have read and understood this: selecting this option the Contributor will confirm it has read and understood the News item. The message will not appear anymore to this Contributor for this item. I will read this item later: this option will close the News item and the message will appear again when the Contributor opens it and try to close it. I will read this item now: the final option will return to the News item so the Contributor can read it and then sign off. At the bottom of the News item, those with edit rights will see a summary of how many Contributors have signed off on the News item. There is also a Download CSV link that provides this data a CSV file. All types of News items include the ability to send notifications to everyone it's published to. These are a special type of notification that users cannot silence. This feature is best used sparingly, when you need to get important news out. It's much better than sending out an org-wide email. Now you can have the best of both worlds -- publish it in News and know that Jostle has sent an email to everyone able to view the News article letting them know it is there. To edit a News item, select it from the main News view and click the Edit link that appears right above its title. After making your edits, scroll up to the action bar and click Publish to post the revised Item back to the main News view. You can also edit an item via the Manage list (see below). You can access your lists of Drafts, Scheduled, Published, and Archived items via Manage in the News Action Bar. Any item on any list can be edited via right clicking on the item and selecting Edit from its Action Menu (Action Menus also contain management options specific to each type of item). As News items get added, older News items work their way down the News timeline until they are eventually out of view. However, if you need to remove an item from visibility immediately, you can do so by archiving the item. Here's how. 2. Locate the item you wish to archive, right click on it and then from its Action Menu, select Archive. To republish an archived item go to Manage > Archived, check off the item, select Edit from its Action Menu and then Publish from the Action Bar. To permanently delete an archived item go to Managed > Archived, check off the item, and select Permanently Delete from the Action Menu. While archiving items in general is discouraged, because it removes the visual history of your organization, there are times when you may need to post a time-sensitive item that requires removal at a certain date. For that you can use the Auto-archive feature, found in the Options column, which allows you to enter a date and time when you would like a particular Item to be automatically removed from the News view and archived. News Admins can get a detailed list of who has viewed any individual News item. Reporters or Editors can click the number of views link at the top of any News item they have edit rights for to download a CSV list with the names of everyone who has viewed that article. NOTE—News Editors can also view detailed metrics reports for News and Activity. On the Edit Article screen there are a few methods and options for adding images. You can insert images into the body of your article clicking the “Upload and display an image file” from the row above the Body field. If you want to embed an image, you can do so via the “Link to and display an image URL” icon, which appears to the immediate left of the icon above. This method can also be used for adding GIFs to your article (See Adding GIFs below). Will appear in a gallery at the very top, above your headline. Can be jumped to image-by-image by clicking on a thumbnail from the row beneath the header display. Header images do not have to conform to a particular size, ratio, or dpi. Images are converted to JPG format unless they are less than 1600 pixels wide and less than 400kB in size. Under Header images click the Browse for images button. Select and upload the image you want to add. When the Edit Crop screen appears, use it to adjust how the image will be displayed. Expand (shows the whole image, leaving empty space on the sides as needed. When you are satisfied with your edits, click the Set images button. NOTE—if you have multiple header images and want them all to be edited the same, check off the “Apply to all” box before making your edits. All your uploaded Header images will appear as thumbnails below the Body field. Here you can change their viewing order or click on any of the images’ available actions (Make tile image, Edit crop, Add a caption). Any images that you inserted into the Body field of your Article will be displayed below the Header images. If you wish to use any of these images as the tile image, just click the link on the appropriate image. The tile image is the image that appears on your Article tile when it is published to your News view. You can select the image you want to display as the tile image by clicking Make tile image above any thumbnail. You can use the Tile preview to see what your Article tile will look like with the image you’ve selected. If an Article doesn’t have any images, some of the initial Body text will be used on the tile (see example below). You can also create Web Articles when using the Jostle mobile app. 1. Copy the URL of an article you want to publish. 3. Then tap the “+” in the upper right corner. 4. Next, tap the “Web Article” button at the bottom. 5. In the field provided, type or paste in the URL of the article you want to publish, then tap “Ok” to pull in the article content. 6. Tap “Continue” to go to the Web Article Preview. 8. Use the Tile Preview to swipe through the images available and select one for the header of the article. 9. Next, indicate your sharing and notification preferences, then tap “All Options” to view and complete the rest of the form. 10. When ready, click “Publish” in the upper right corner to add your Web Article to your News view.